It is official now: Together with AndroidPIT, App of the day, and AppZapp, Knicket has become a marketing partner of Appmedia, the new specialist in holistic app marketing (http://www.appmedia.de/). Appmedia was founded by Fonpit AG, which operates the world's largest Android community AndroidPIT. We are proud to be part of this pool of established app marketers. 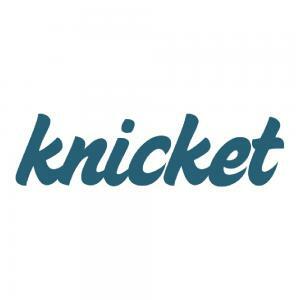 This proves that the Knicket brand works, and it will help us during the further development of the company. At the moment, the first campaign for Börse & Aktie, a stock market app, is already running. Because of numerous requests from independent developers, we have created a separate entity pooling all of our knowledge about app marketing: K-App-Marketing. From press relations and app store optimization to Facebook campaigns, we provide modular and tailored concepts for apps and mobile games of all kinds. Our first project is going to be an international media campaign in 4 countries for a children's app (www.k-app-marketing.de). 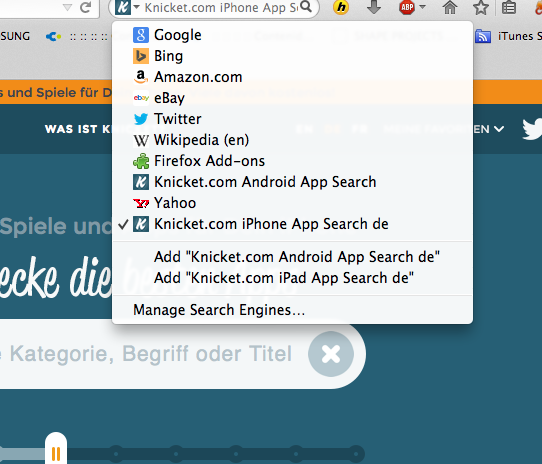 Due to popular demand, Knicket is now also available as a Firefox search plug-in. Firefox users may now simply add Knicket in the drop-down menu of the search bar and then search for apps directly – including all Knicket filters of course. As many Companists have already noticed, the Companisto start-up readfy has had a great launch of its new app. Because of the banner exchange on which we agreed with readfy, the first readfy banners are now visible on Knicket. In return, Knicket is going to receive ad spaces within the readfy app. Now, it is time for us to focus on the final stage of the funding campaign. We would like to thank all Companists for their many questions and valuable input in particular.